THE STATE HAS paid out over €83,000 this year alone to four former taoisigh in expenses for secretarial assistants, airport VIP services and mobile phone usage despite the scheme being scrapped at the beginning of the year. As part of last year’s budget the government scrapped a scheme that had been in place since 2001 which provided for allowances to employ secretarial assistants, a VIP package at Dublin Airport as well as allowances for the use of mobile phones. Though the payout of such entitlements ended on 1 January of this year, TheJournal.ie has learned that the some payments continued into March of this year, in what the Department of the Taoiseach called a “transitional measure”. Other claims, for expenses incurred up to December 2011, have also had to be paid – with a total of €83,425 paid to four former taoisigh, seven months after the scheme was to have ended. It means that to date a total of €1,774,693 has been paid to a total of six former taoisigh since the scheme was first introduced in August 2001 as a “non statutory initiative” according to figures compiled by this website. 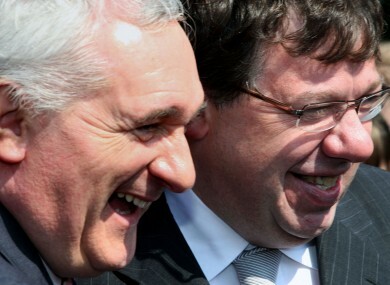 The largest claimant under the scheme was Bertie Ahern, who has received €457,746.77 in entitlements since leaving office in 2008 – including €41,861.06 this year alone. The payments are intended to cover the employment of a secretarial assistant to support a former taoiseach in carrying out work associated with their former roles, such as their membership of the Council of State. Payments also cover expenses incurred in using mobile phones and a VIP package at Dublin Airport, which includes assistance with customs and immigration and retrieval of baggage. The government said last night that the scheme had now been ceased. In a statement, the Department of Taoiseach said: “The scheme is now terminated. “In winding up the scheme it was agreed that payments for mobile phone and airport VIP services would be covered until the end of December 2011, so some payments had to be paid in 2012 for services availed of in 2011. But these entitlements have continued to be paid in the first months of 2012, the government has now admitted. So far this year, former taoisigh Albert Reynolds, John Bruton, Bertie Ahern and Brian Cowen have between them received over €83,000 for claims made towards the end of 2011 and for secretarial assistants until the end of March. Almost half of this money was paid to Ahern, who this year alone has received €41,539.60 to employ a secretarial assistant and €321.46 for mobile phone expenses. His former cabinet colleague Cowen has received €22,719.72 for his secretarial assistant and €35.33 for mobile phone expenses. Reynolds has received €12,569 in respect of his secretarial assistant, while John Bruton has received €6,181.84 for his secretarial assistant and €58.15 for mobile phone expenses. In total, the scheme of entitlements for six former taoisigh has cost the state in excess of €1.77 million over the last decade. This included Ahern himself – the biggest claimant, despite having only left office four years ago – who has been paid over €457,700, in addition to his pension of €152,331.66 per year and an initial pension lump sum of over €250,000. Reynolds has claimed a total €409,800, Bruton has claimed a total of €292,900 and Cowen has claimed a total of €72,600 since leaving office less than 18 months ago. Former taoiseach Charles Haughey claimed €202,100 before he died in 2006, while his Fine Gael rival in the 1980s, Garret FitzGerald, claimed a total of €339,600 before his death in May of last year. This means that to date a total of €1,774,693 has been paid out to former taoisigh in expenses in addition to their pensions. Liam Cosgrave, who was taoiseach between 1973 and 1977, has not made any claims under the scheme. In addition to the €1.77 million it was disclosed in a parliamentary question last October that the State had also borne the cost of buying two computers for former taoisigh: a €1,440 machine for Brian Cowen and equipment worth €1,913 for Garret FitzGerald. Further to this, the annual cost of payments for mobile phones in 2003 and 2004 in respect of all former taoisigh totalled €2,567.70 and €9,507.29 respectively but could not be broken down into what each former taoiseach claimed. TheJournal.ie has also learned that Brian Cowen no longer employs a personal secretary, following the abolition of the allowance scheme, while the Irish Independent reported in June that Ahern continued to employ his long-term secretary at his own expense. Attempts to find out the circumstances of Albert Reynolds’ employment of a secretarial assistant were unsuccessful. In 2008, the former Fianna Fáil leader was excused from giving evidence to the Mahon Tribunal on medical grounds. Email “€83k paid to ex-taoisigh this year – despite scrapping of expenses scheme”. Feedback on “€83k paid to ex-taoisigh this year – despite scrapping of expenses scheme”.